The Google Pixel has been released recently along with the Google Pixel XL. 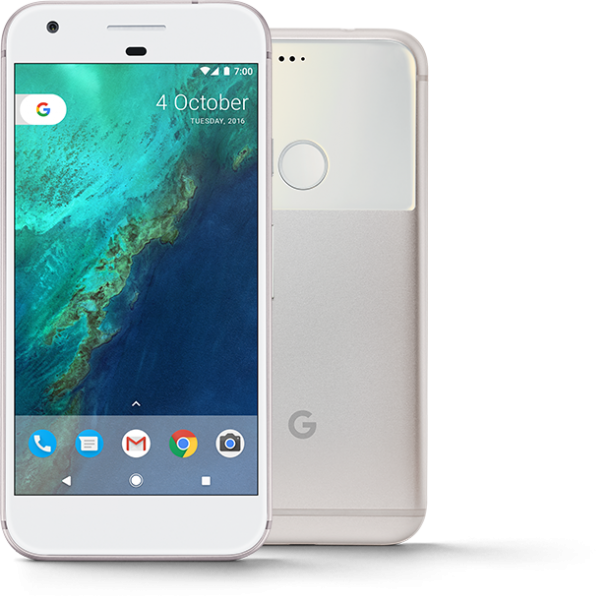 The smaller of the Pixel duo, the Google Pixel sports a 5-inch touchscreen display. The Google Pixel ships with Android Nougat right out of the box. The Google Pixel is a fairly expensive smartphone. A good smartphone case helps protect your Google Pixel from drops, bumps, scratches, dust etc. 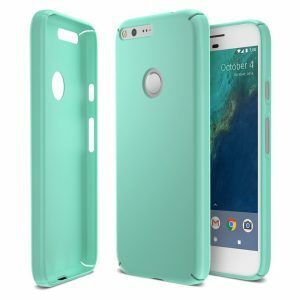 Listed below are the top 10 best Google Pixel cases and covers. 1. Spigen Tough Armor Google Pixel Case: The Spigen Tough Armor Google Pixel Case strikes the perfect balance between looks and protection. The case uses air-cushion technology to offer military-grade drop protection and the raised bevels protect the display, camera. 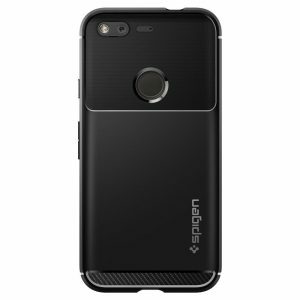 The Spigen Tough Armor Google Pixel Case is available in 3 colors. 2. 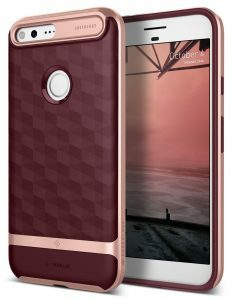 Caseology Parallax Series Google Pixel Case: The Caseology Parallax Series Google Pixel Case is an extremely stylish case with a trendy geometric pattern and contrasting PC bumper. The case is also soft and comfortable to hold. The Caseology Parallax Series Google Pixel Case is available in 4 different colors. 3. OtterBox Defender Series Google Pixel Case: The OtterBox Defender Series Google Pixel Case offers top-notch triple layer protection to your device from drops, bumps, shock, scratches etc. 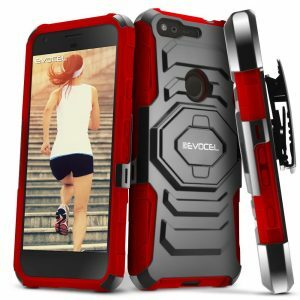 The case includes a built-in screen protector and a belt-clip holster that also doubles as a kickstand. 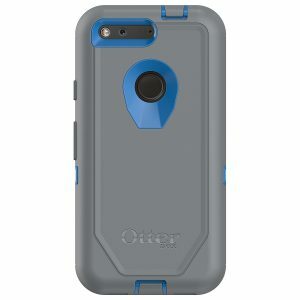 The OtterBox Defender Series Google Pixel Case is available in 3 colors. 4. 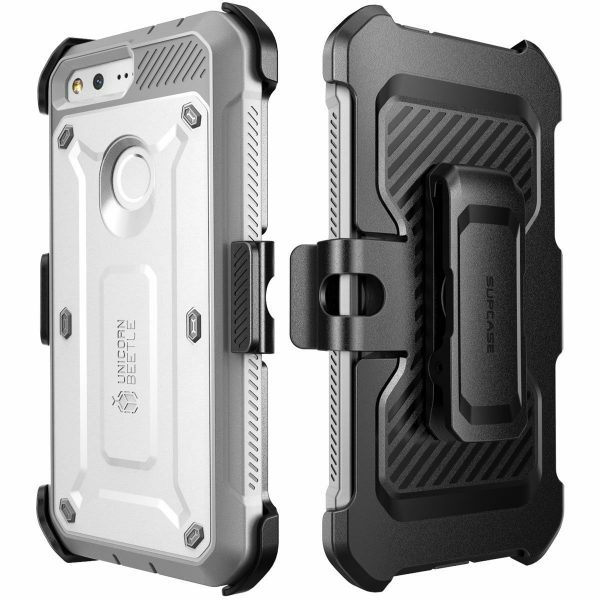 Supcase Unicorn Beetle Pro Series Google Pixel Case: The Supcase Unicorn Beetle Pro Series Google Pixel Case is rugged and offers 360-degree protection to the Google Pixel. Just like the OtterBox Defender Series Google Pixel Case, the Supcase Unicorn Beetle Pro Series Google Pixel Case too includes a built-in screen protector and rotating side mount belt clip swivel holster. The Supcase Unicorn Beetle Pro Series Google Pixel Case is available in 3 colors. 5. 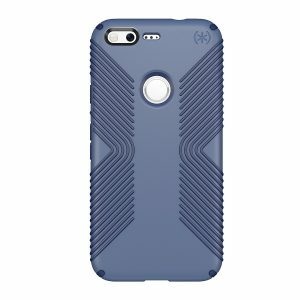 Speck Presidio Grip Google Pixel Case: The Speck Presidio Grip Google Pixel Case provides amazing grip to your smartphone. The raised rubber ridges on the back and sides let you securely hold the Google Pixel. The Speck Presidio Grip Google Pixel Case is available in 2 colors. 6. 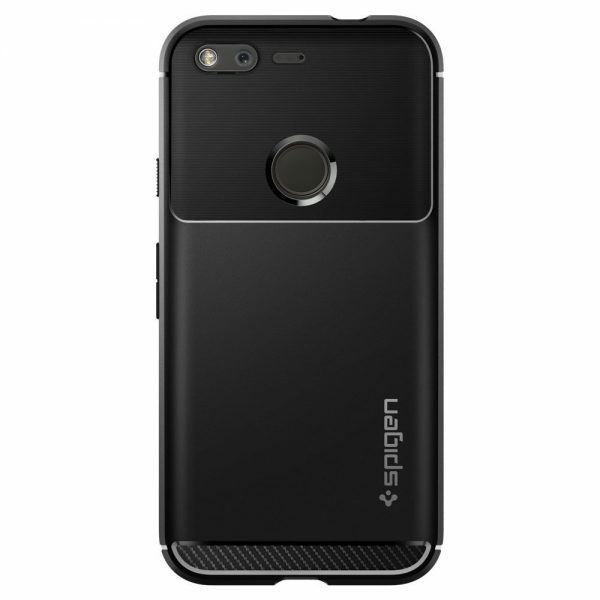 Spigen Rugged Armor Google Pixel Case: The Spigen Rugged Armor Google Pixel Case is a premium looking smartphone case with carbon fiber texture. This fingerprint-resistant case also uses air-cushion technology for drop-protection. 7. 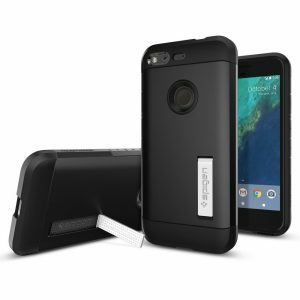 Maxboost mSnap Google Pixel Case: The Maxboost mSnap Google Pixel Case is ultra-thin, lightweight. The case offers a perfect fit and the smooth matte finish provides good grip. The Maxboost mSnap Google Pixel Case is available in 2 colors. 8. 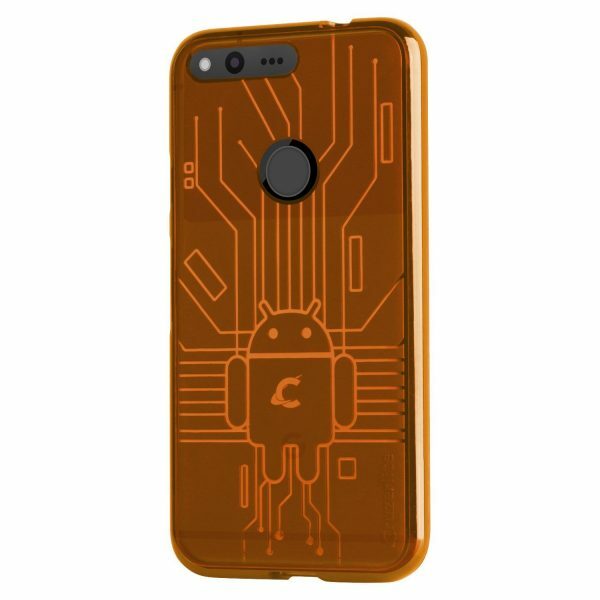 Cruzerlite Bug Droid Circuit Google Pixel Case: The Cruzerlite Bug Droid Circuit Google Pixel Case is made from scratch resistant, shock absorbent TPU. 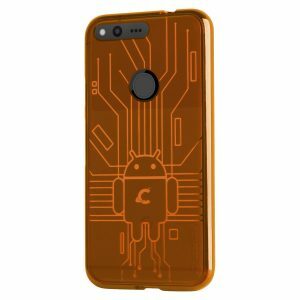 The Cruzerlite Bug Droid Circuit Google Pixel Case features an unique design and is available in 8 attractive colors. 9. Evocel Google Pixel Holster Case: The Evocel Google Pixel Holster Case is rugged and comes with a 180-degree swivel belt clip holster. The built-in kickstand is very convenient for landscape orientation. The Evocel Google Pixel Holster Case is available in 5 different colors. 10. Trianium Clarium Series Google Pixel Case: The ultra clear Trianium Clarium Series Google Pixel Case lets you flaunt your smartphone. 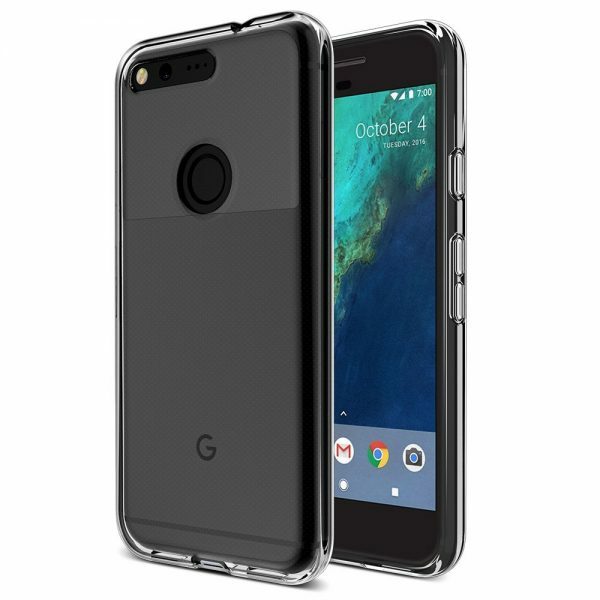 The Trianium Clarium Series Google Pixel Case also offers lightweight protection to the Pixel. These are the top 10 best Google Pixel cases and covers. These are such awesome Pixel covers. It amazing how well the Pixel is doing is such a short amount of time. I really like how it integrates with Google Desktop too. Thanks so much for the great list of covers.